This week I am planning on spending as much time as possible at Hermano Pedro orphanage. Nearly all of the kids that had homes to go to are back and lots of them need repairs made to their wheelchairs so this week I am hoping that I can get a good number of them fixed. The problem is the first week back at the orphanage after spending nearly 2 months with their families is always one of the hardest for the kids so they seem to need an extra dose of attention. Have you ever tried to do something like fixing a wheelchair when you have no less than a half dozen little helpers that all want to help you at the same time and another dozen or so that care less about helping but still crave your attention. 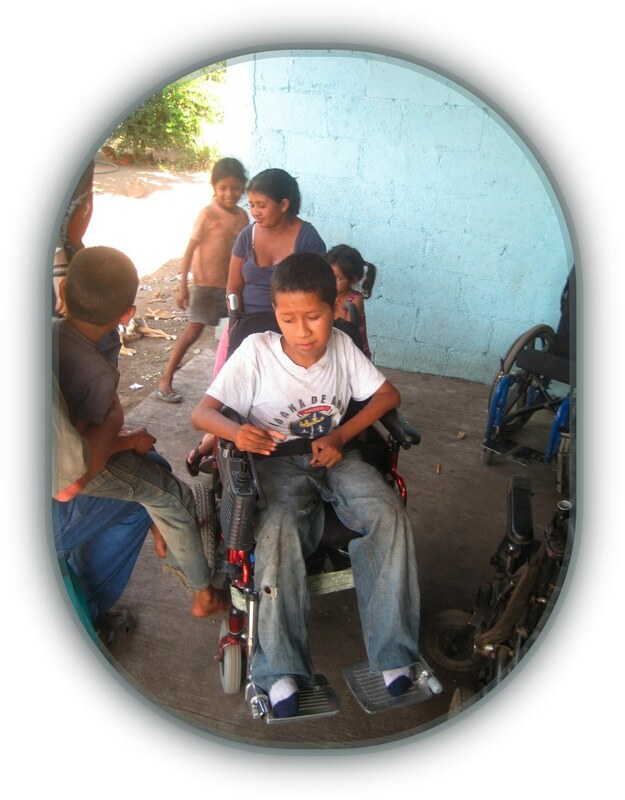 It is even harder to do when you would much rather be giving your full attention to the kids than fixing their wheelchairs. 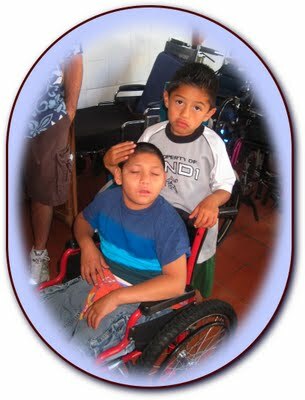 I usually try to divide my time up fairly though by giving about 10% of my attention to what is being done to the wheelchair that I am working on and the other 90% to what is being done for the children that are working with me. With out a doubt this slows down the amount of wheelchairs that get repaired in one day but you ought to see what it does for the kids. Thanks to Fernando, today I was able to bring up the productivity of my wheelchair repair efforts verses loving on the kids to a higher percentage. Fernando and the other kids that attend the public school here in Chimaltenango were suppose to start their new school year last Friday. The kids made it to school but the teachers didn't. Today everyone made it but the kids all returned home within an hour. I guess that the teachers didn't want to get too stressed out the first day. Any way Fernando ended up going along to the orphanage with me. Thanks to his giving the kids 99% of his time and only about 1% to a wheelchair that he quickly installed a new seat belt on, I had a few times there where I was able to give the wheelchairs 70% of my attention and the kids only about 30%. I know I still have a ways to go as far as productivity goes. Or do I? As I looked over at Fernando I wondered which one of us was being the most productive. All of the kids made it to school today so I actually ended up going to the orphanage by myself. I did pretty good though. It was another 70% 30% day. 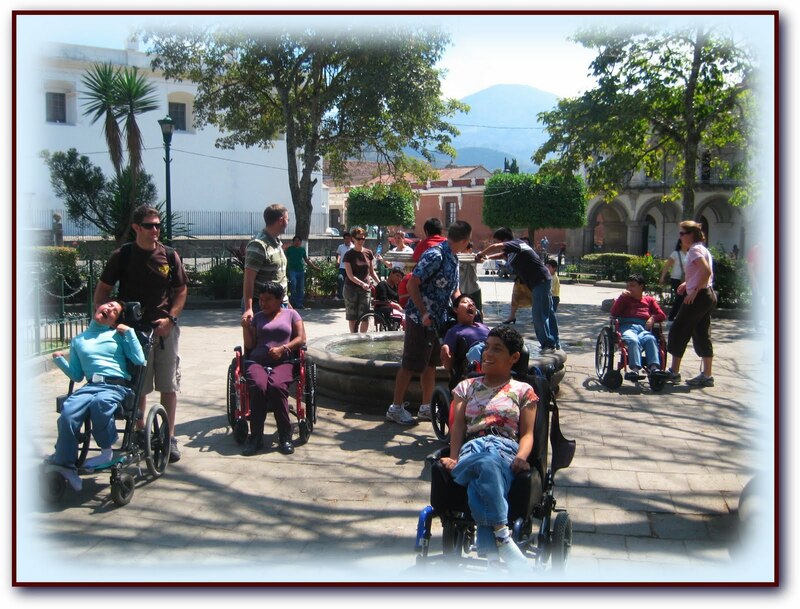 The only difference was that 30% of my time went to working on wheelchairs and 70% went to hanging out with the kids. I am still not quite up there with Fernando's 99% but am starting to once again get my priories straight. The last few days have been bitter sweet. 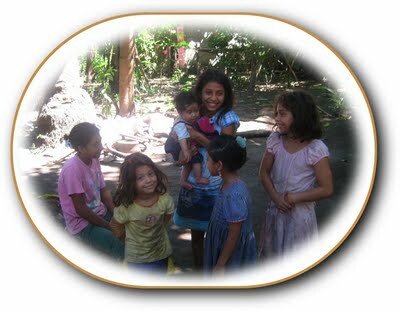 It is great to see all of the kids again but I often wish that most of them could remain at their homes. Ever since Ervin has returned they have pumped him so full of drugs that he is an absolute zombie. Behavior management they call it. Some one would have to manage my behavior as well if they kept me locked up in a crib 18 hours a day. The kids are taken out of their cribs at 8 AM and all but a hand full of them are put back to bed at 1 PM. Nap time they call it. Laziness is what I call it. For the majority of them that nap lasts until 8 AM the following day. Don't get me wrong I am grateful to Hermano Pedro for the good that they are doing but there are some changes that are long over due. I wish so that each care giver was put in charge of 6 or 7 kids instead of 7 or 8 nurses all having the same 40 kids. That way the ambitious ones would not be taken advantage of and the lazy ones would soon be recognized. I have seen that plan put into action in other orphanages and it works great. 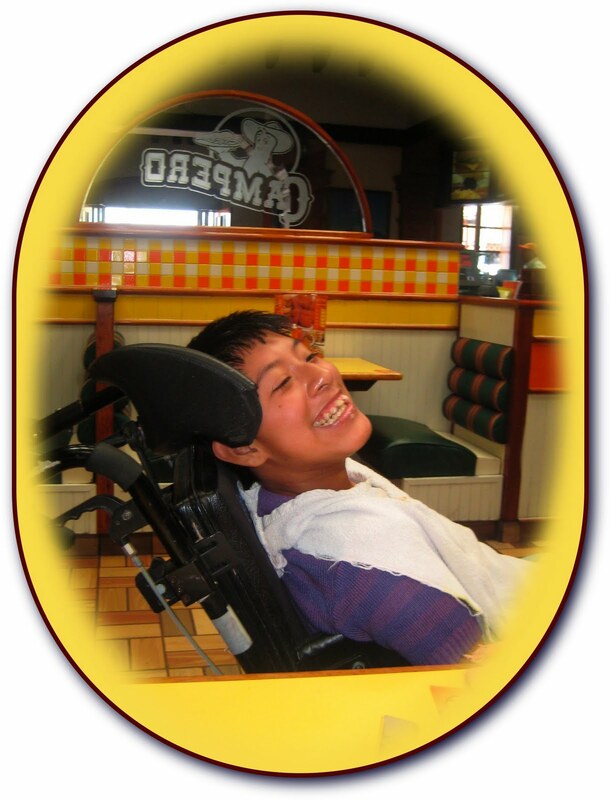 The kids that are cared for by the same 1 or 2 individuals soon bond to the care givers and to each other, and the care givers soon bond with them. Soon there often becomes a healthy competition between the care givers in seeing who has the cleanest, healthiest, and happiest kids. OK I will climb back down off from my soapbox but some one has to speak up on behalf of these kids, some of whom are smarter than you and I (Well smarter than me anyway), even kids that are up into their teens that are confined to there beds 3/4 of the time simply because they can not walk. Since I did not have any of my kids with me today I took only Henry to lunch. Henry kept telling me that his mother was going to come tomorrow and take him back home for good. Fact is he told me the same thing yesterday. 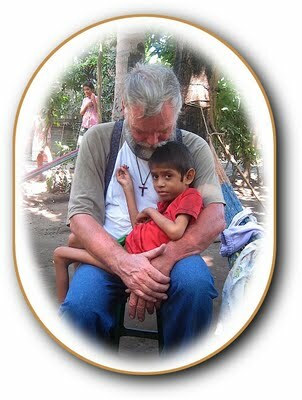 I can remember him telling me that he would not be returning to the orphanage when he went home for Christmas break as well. I am glad that Henry has not given up. I pray that his mother hasn't. This morning Chris and Donna's son Benjamin came along to Esquentla with me. My friend Mario had intended on going with me but called early this morning to tell me that he was a bit under the weather. I was not sure if Benjamin would be able to go because he is home schooled but after thinking things over and knowing how much trouble I can get myself into with my limited Spanish Donna decided that he could go. On our way to Esquentla we stopped off and picked up Larry. Larry who is from the USA and has been volunteering the past several months at Hope Haven's wheelchair factory decided that it would be nice to see some of the country. Our first stop was at the home of the family that we will soon be building a new house for. 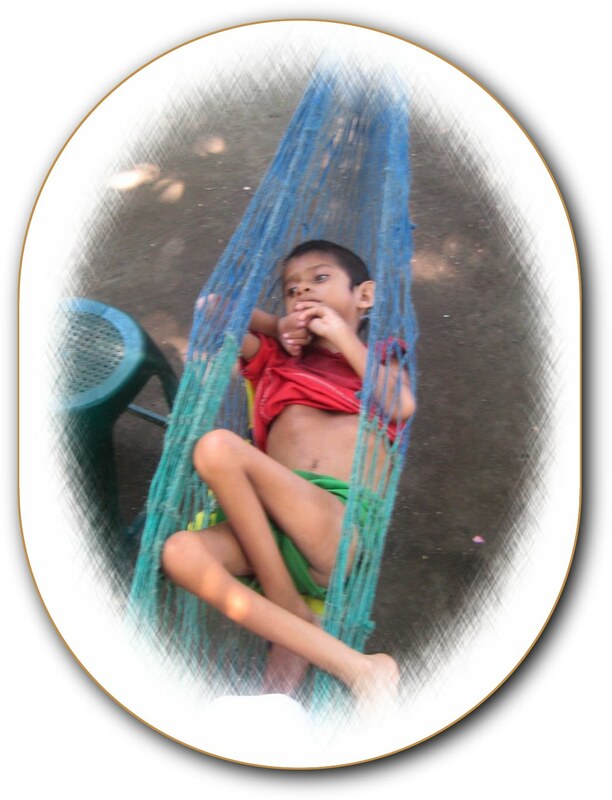 Ever since finding a sponsor for them we have been able to supply them with food on a monthly bases. They were excited to hear that the teem that is coming in from the USA to build their house will start on it next Tuesday. Next we stopped off briefly at the clinic in La Gomara. 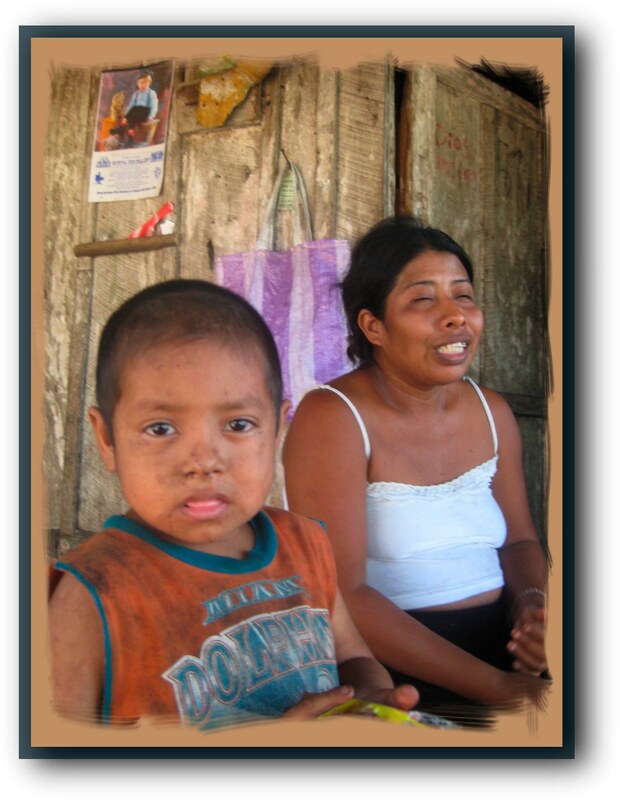 The workers at the clinic were instrumental in helping us locate the land that we bought for this family. They will also have some families picked out that we hope to give water filters to when we go to the coast next week to build the house. Our next stop was at the land where the house is going to be built at. We wanted to be sure that the water and electricity had been put in as planned. One out of 2 isn't bad. actually both have been put in but only the water worked. A neighbor informed us that in this town the electricity has to be paid for ahead of time. Next we backtracked a bit and then took a dusty dirt road in to where Julio lives. Julio's family was happy to see us and even happier to see the groceries that we had for them. 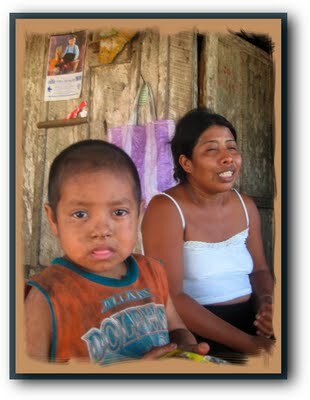 Julio's dad told us that even though the sugarcane harvest is in full swing there are simply more workers than there is work so the work has been spotty. 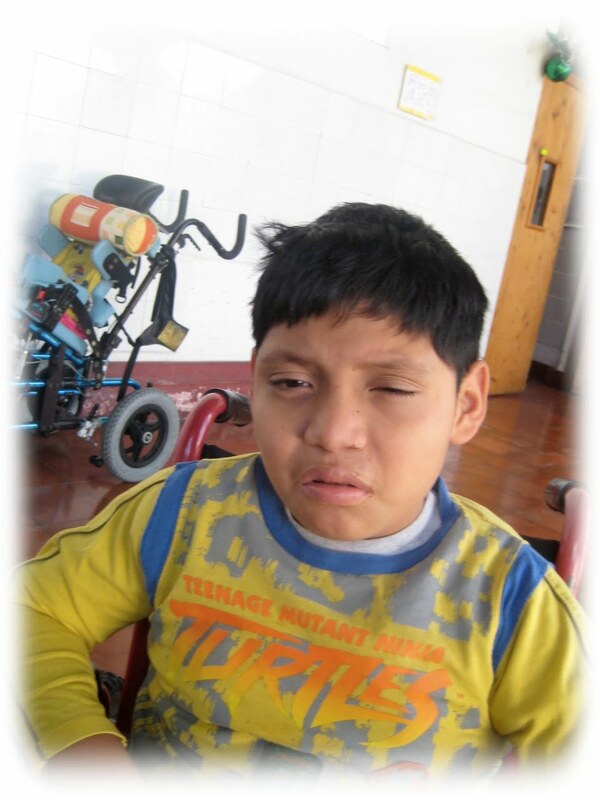 Although they are over it now most of the member of Julio's family have also been sick and Julio has lost even more weight. 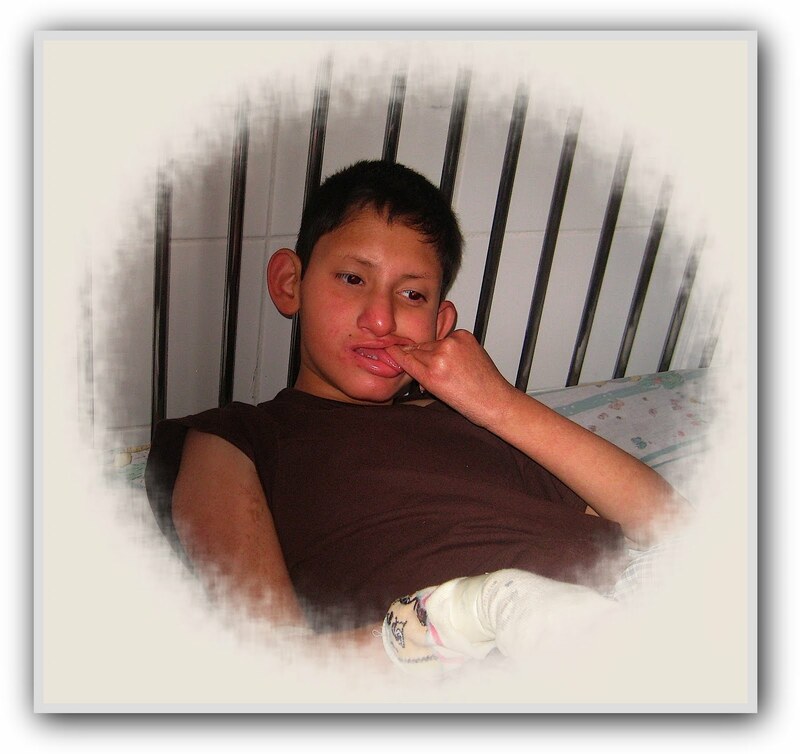 I asked his parent if they wanted me to try to get him back into the malnutrition ward of Hermano Pedro for a few months and after thinking it over they said yes. I told them that I would postpone taking a new wheelchair to Ronny if one of them would accompany me in taking their son to Antigua today but since they had both just gotten over being sick and still felt week they thought it would be best to wait until next week. I think that Julio is in good enough shape that he will make it but had he been my kid I would have taken him today no matter how I felt. One of my favorite families to visit is Ronny's. This family always greets me like I am a long lost brother. What made this trip even more pleasurable than the one that we took to see them about a month ago was today we did not encounter any robbers along the way. Ronny had called me a few days ago telling me that his power chair had run away with him. Seems it suddenly got a mind of it's own and away it went with Ronny in it. Fortunately Ronny and the chair ended up in some bushes and other than a good scare Ronny was not hurt. Ronny had pretty much outgrown this chair anyway so I brought him a larger one today. 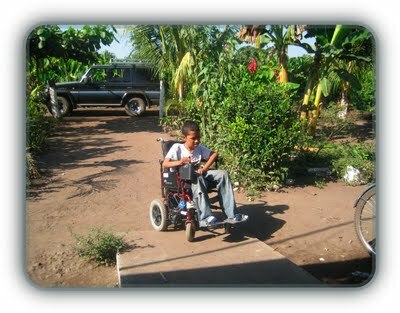 Don't worry no one will receive his old wheelchair until it is refurbished, and a new computer is installed. By the way Ronny, his brother and 4 sisters were not in school. Their school is on strike. Well I am back at home and I just received some good news. Actually the news that I heard was not all that good but the results of what happened made me proud. After hearing a loud crash Esbin came into the house followed by about 5 of my other boys who were outside with him playing soccer. Esbin told me the had accidentally broke the mirror of my car with a soccer ball. He told me that he was sorry and even offered to help pay for a new one. Fernando quickly jumped in and told me that he and the other boys would help pay for it as well because even though Esbin was the one that broke the mirror all 6 of the kids had been playing so he felt that it was only fare that they all chipped in to help. To my astonishment all of the other kids nodded in agreement. Wow those kids have sure come a long ways. It was not all that long ago that most of them would have never told me what had happened and if they did it wolud have only been to rat on some one else so that they themselves would not get into trouble. When tears came to my eyes I had to explain to them that the tears were not because of some silly broken mirror (Although I do wish that it had not been an electric one,. Those buggers are expensive). No I was getting teary eyed because I was so proud of them. I gave them all a hug, I then told them to be more careful, brought out a chair, sat down and watched them play soccer. Tomorrow the boys and I will go and get the mirror fixed. I told them that this one is on me but that the next one will be on them. 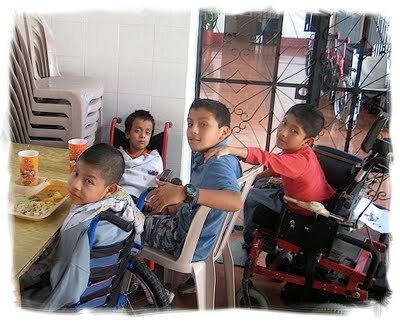 Today Fernando, Bryon and Elder accompanied me to the orphanage. That's right no school. I guess that after 2 days straight the teachers felt that they deserved the day off. Shortly after getting to the orphanage we met up with 5 Americans that I had promised to show around. Not only did the boys and I show them around but they even bought lunch for us and 6 of the teen age girls that live at the orphanage. We had a great time and the only down side was seeing that nearly all of the other kids were in bed when we returned at 2 PM. OK, I promise that I won't get up on my soapbox again but . . . . . . . . !